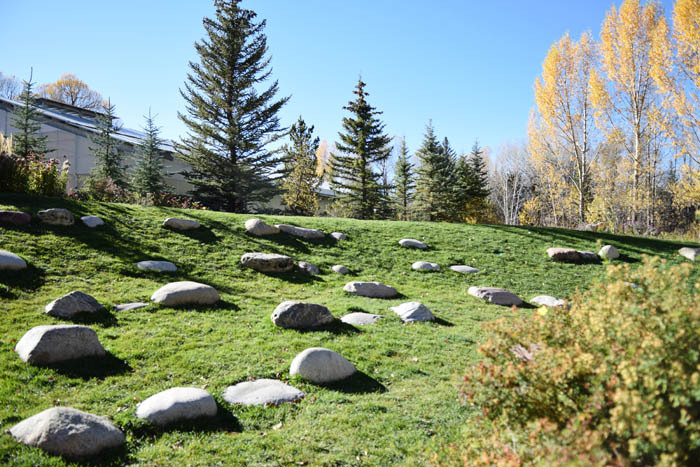 There is certainly no shortage of things to do in Aspen, Colorado – as we discovered on our trip there last fall. 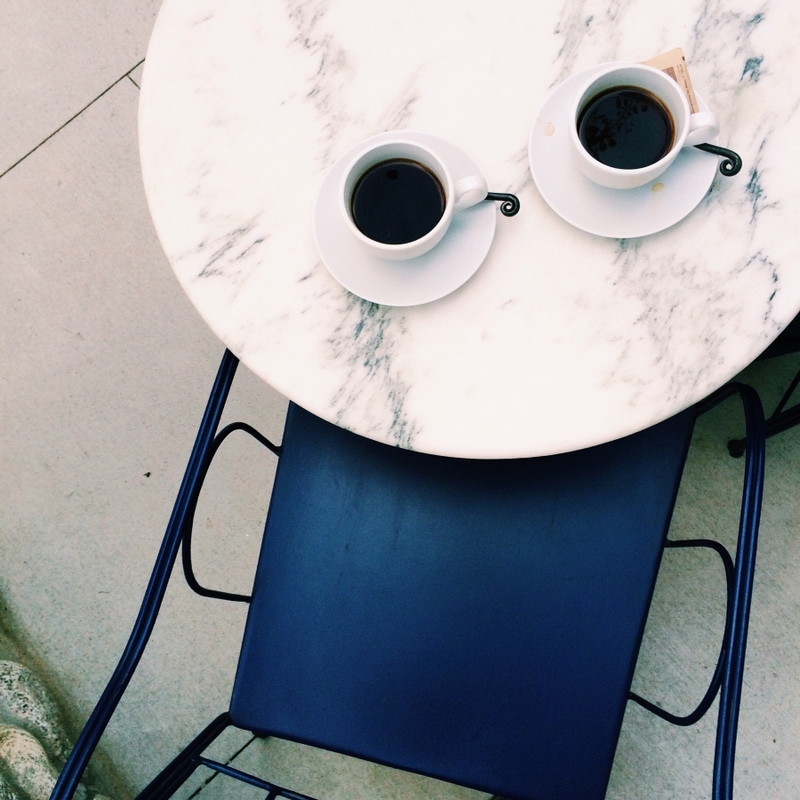 Even during the off season, there are plenty of outdoor activities and some great restaurants as well. We had to search a bit for restaurants while we were there, but once we got a few tips from locals, we had no problems finding great food. 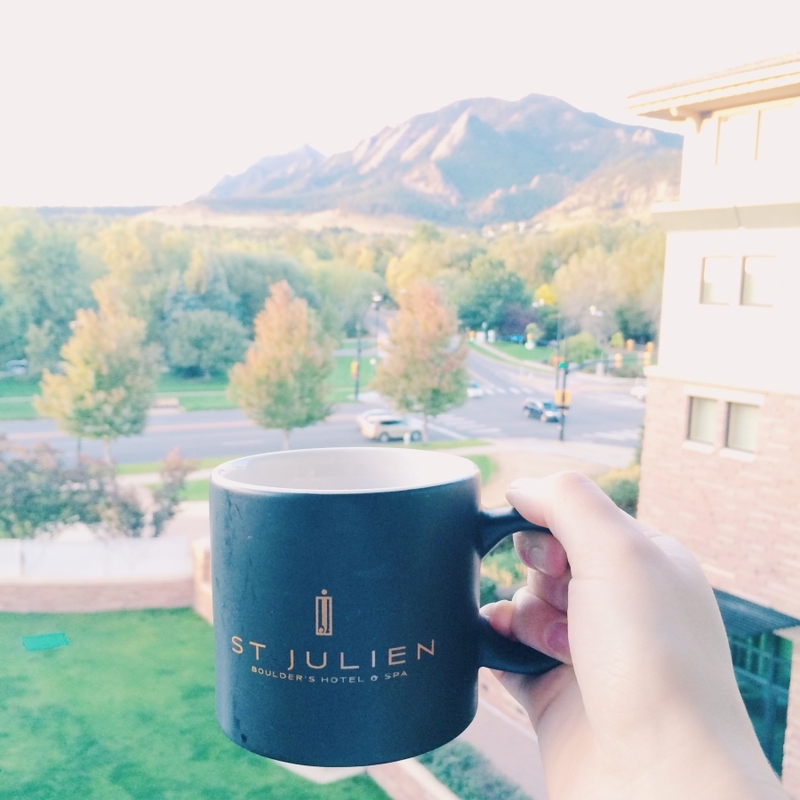 I plan to share a bit more about our trip as well as some travel tips for the off season in Aspen in an upcoming post. 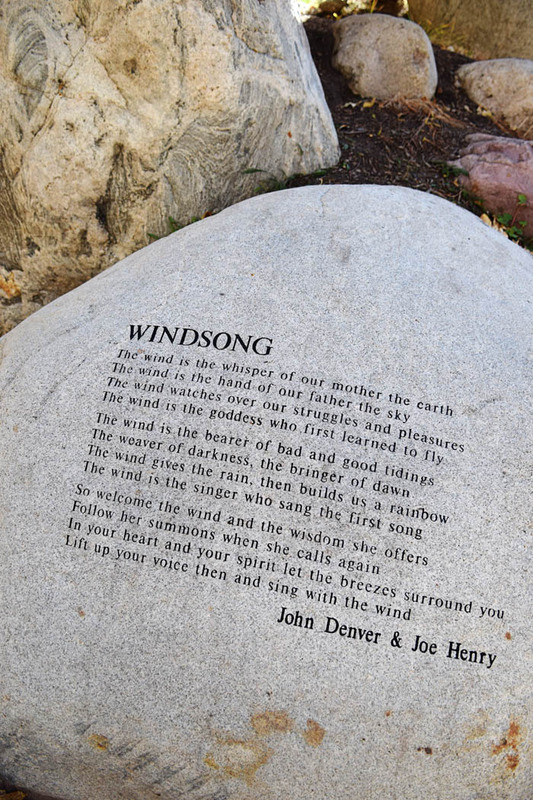 Today, however, I wanted to focus on a little piece of town that could easily be overlooked – the John Denver Sanctuary. He has a quintessential American folk sound that is still quite popular, even though he was tragically killed in a plane crash in 1997. 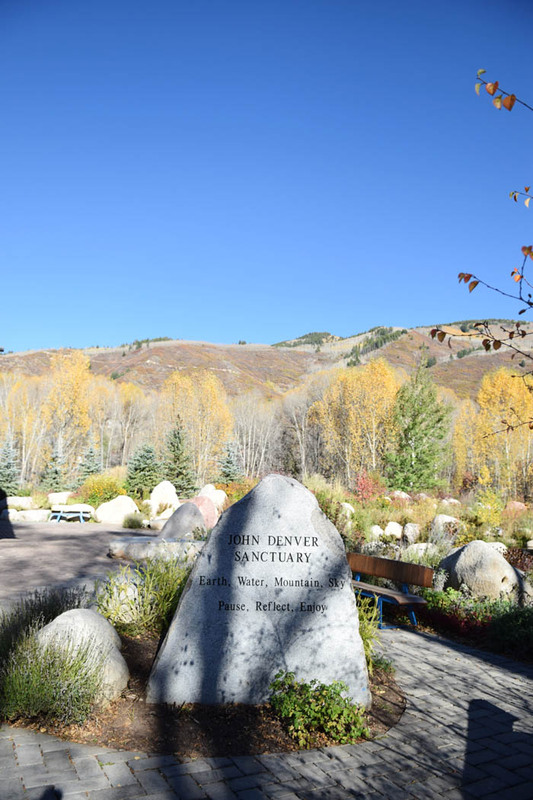 Denver has an incredibly loyal fanbase that continues to celebrate his life and share his music with various live concerts throughout the year. They even have an active Facebook page. 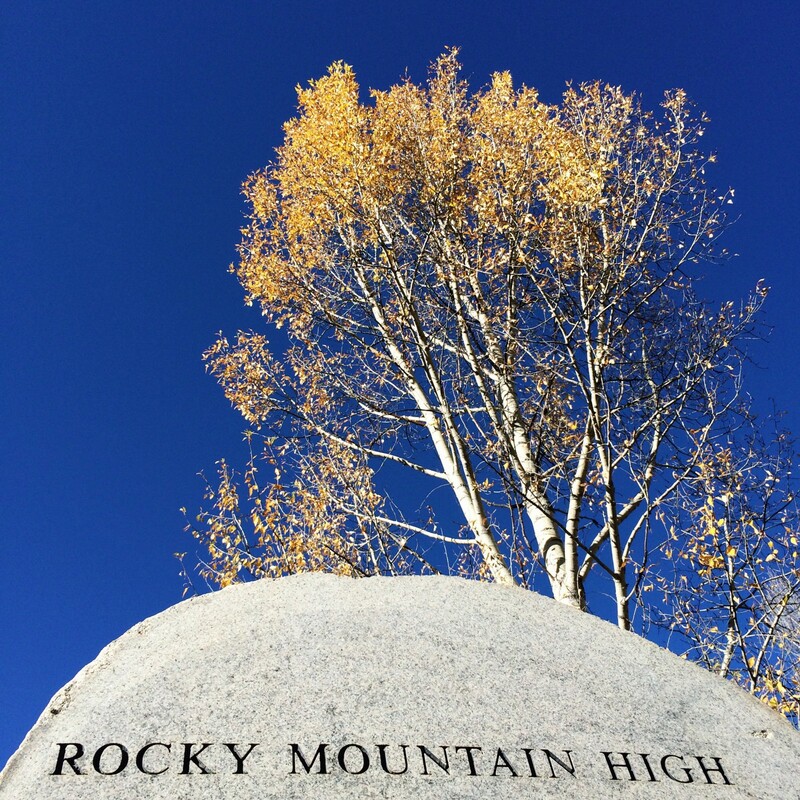 Aspen, Colorado became known as his unofficial hometown and in 2007, his song, “Rocky Mountain High” became one of Colorado’s official state songs. 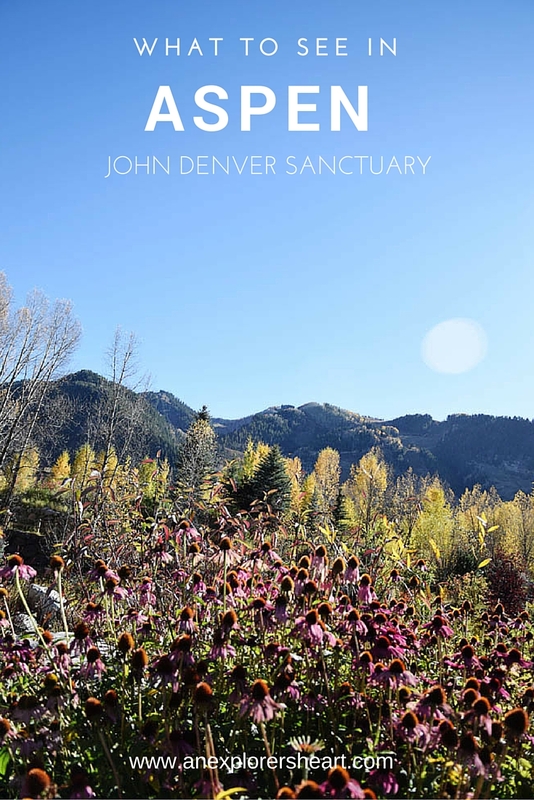 When we heard about the John Denver Sanctuary being located in Aspen, I knew it was something that I wanted to see. 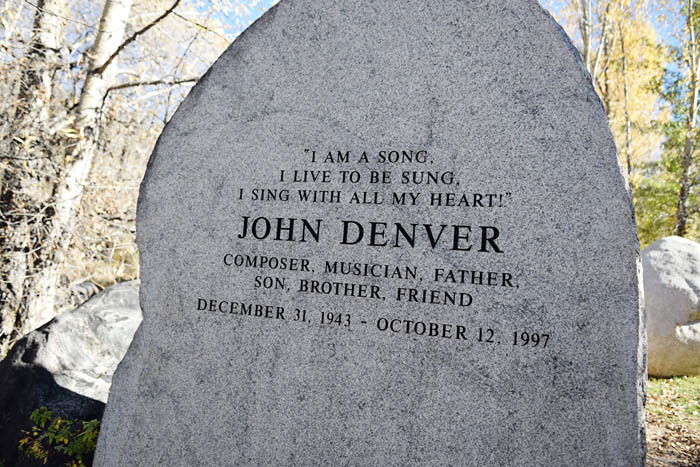 Growing up going to summer camp in Colorado, John Denver’s songs were popular campfire tunes. I’m not sure what it is about his music, but it always transports me to another place and time. 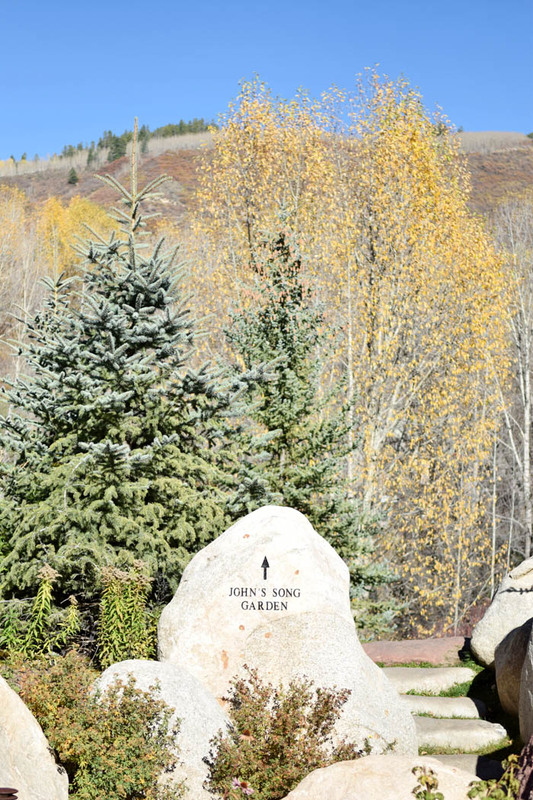 The John Denver Sanctuary is located in downtown Aspen down by the river. 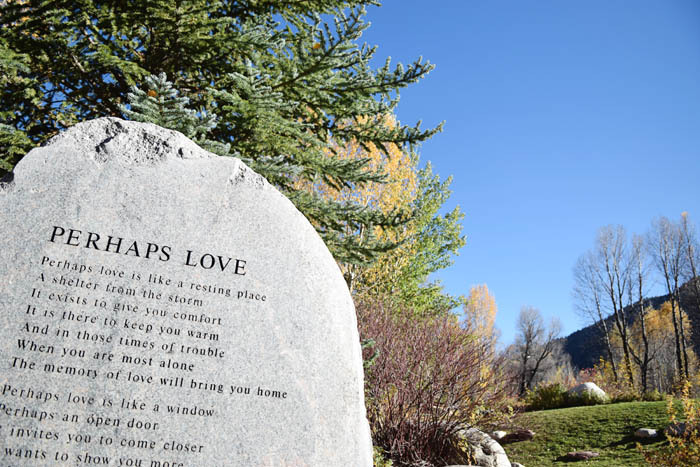 The Sanctuary is located in the Rio Grande Park and it may a bit of looking around for you to find the John Denver Sanctuary. 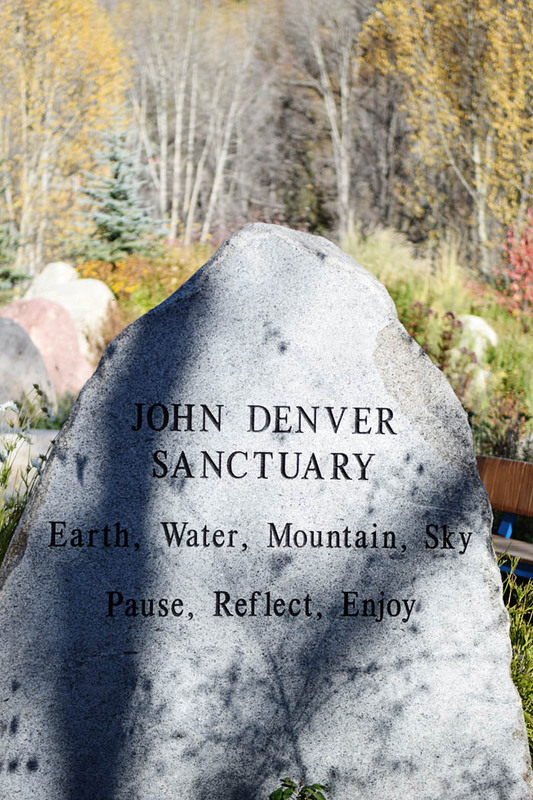 Following our the directions of our GPS, we made it to the Park, but had a difficult time finding the actual John Denver Sanctuary. 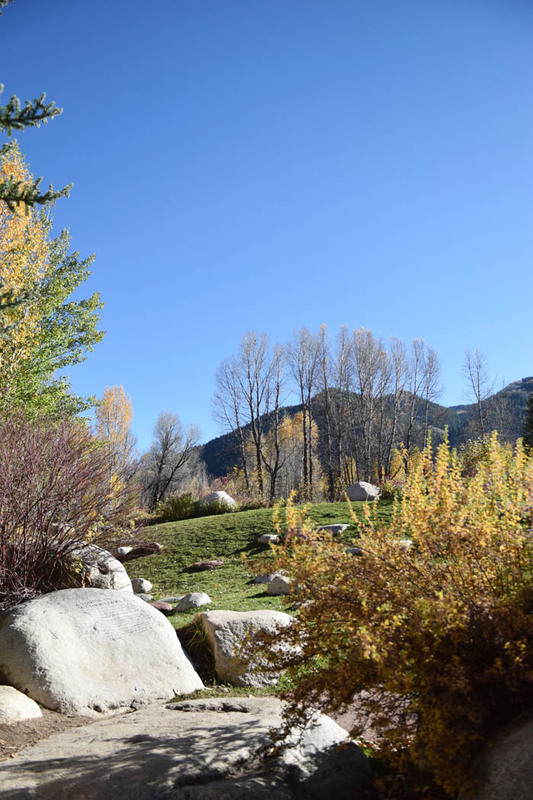 It is located right next to the Roaring Fork River and it’s close to Theatre Aspen. If you are driving through town, I would suggest parking in one of the local parking garages and then walking over. If you’re staying at a hotel in town, I would suggest that you just walk there – as parking can be a bit of a challenge. 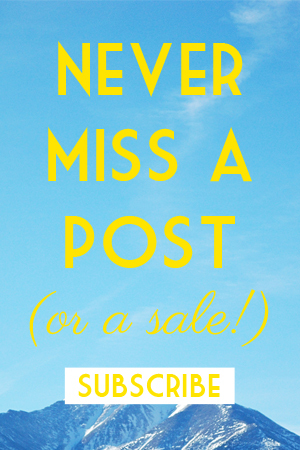 Plus, the weather is so beautiful – why wouldn’t you walk? 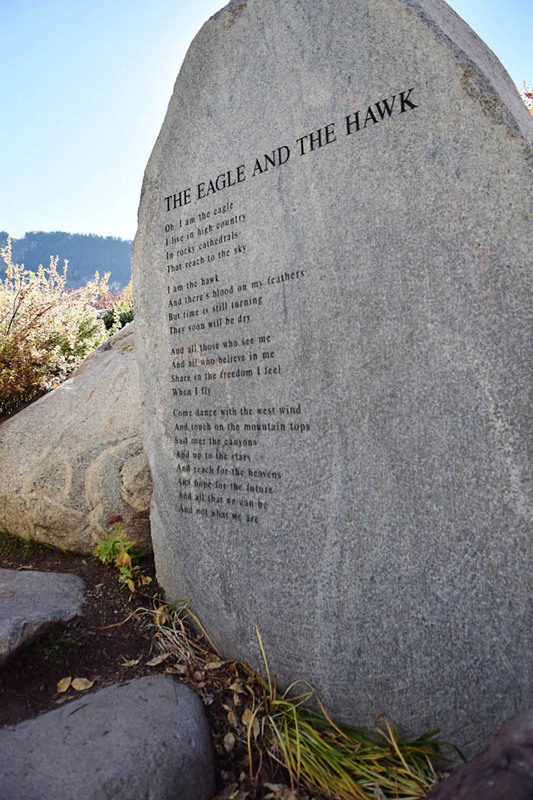 There is no admission to enter the park – as it’s just an open sanctuary for anyone to enjoy. 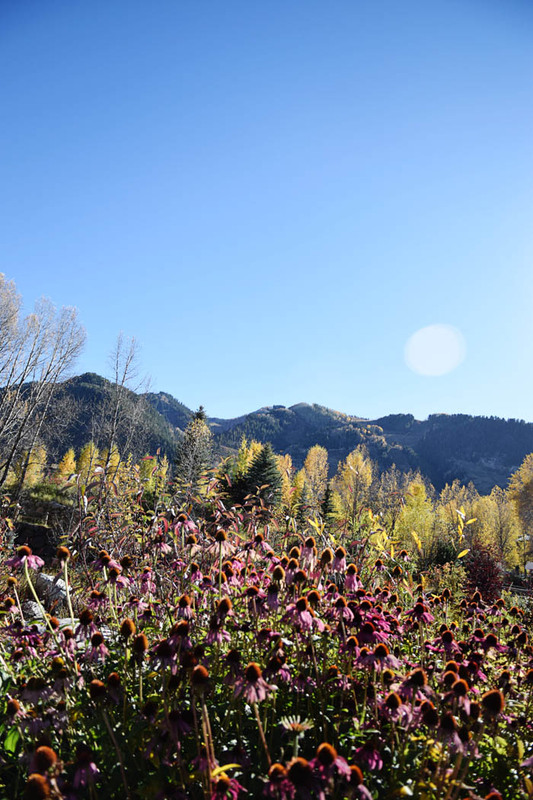 Have you been to Aspen, Colorado before? 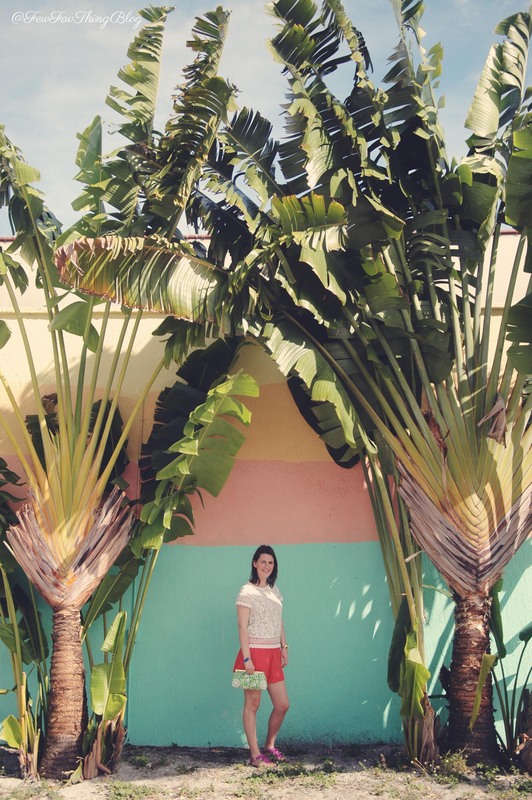 What was your must-see spot?